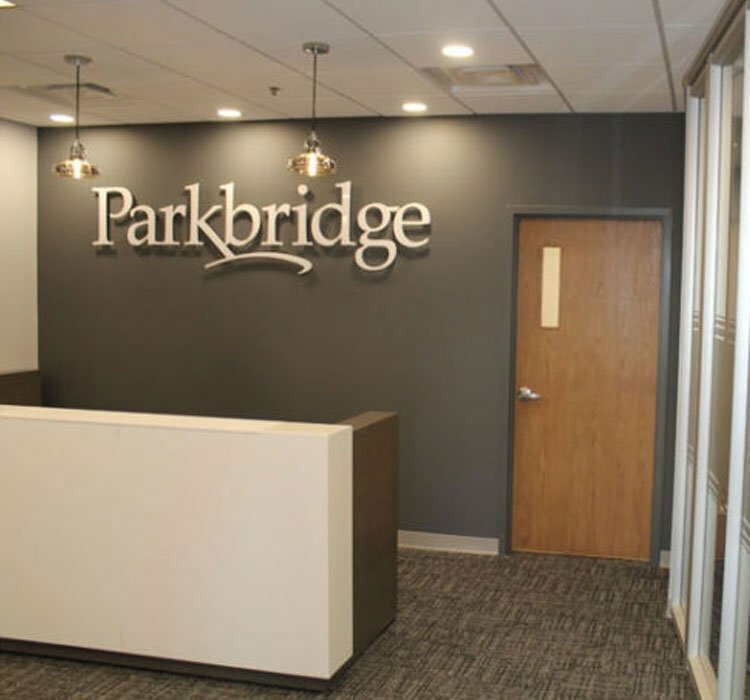 Parkbridge’s home office was in Calgary until they realized they could better serve their growing clientele in Ontario. Parkbridge is a Land Lease Company with over 75 Residential Communities and 40 Resort Communities. Land Leasing allows buyers to buy their house outright and instead of paying the municipality for the land, the land is leased to them by Parkbridge. This solution is ideal for retirees or for those looking to enter the housing market for the first time. When it came time to relocate their office they chose Collingwood as their new base of operations. They wanted to construct a swing space for their executives, while their new building is under construction. Parkbridge came with a set of criteria for their project. They wanted a solution that would allow for redeployment into their new office building once it is finished construction in the next few years. They wanted their swing space to have a top quality fit and finish, beyond traditional construction. 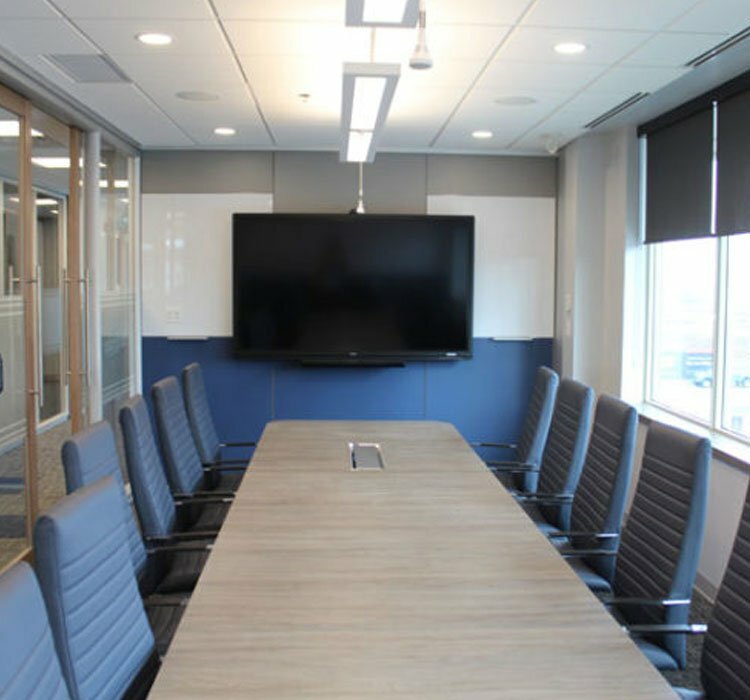 DIRTT was the natural solution to meet their criteria. 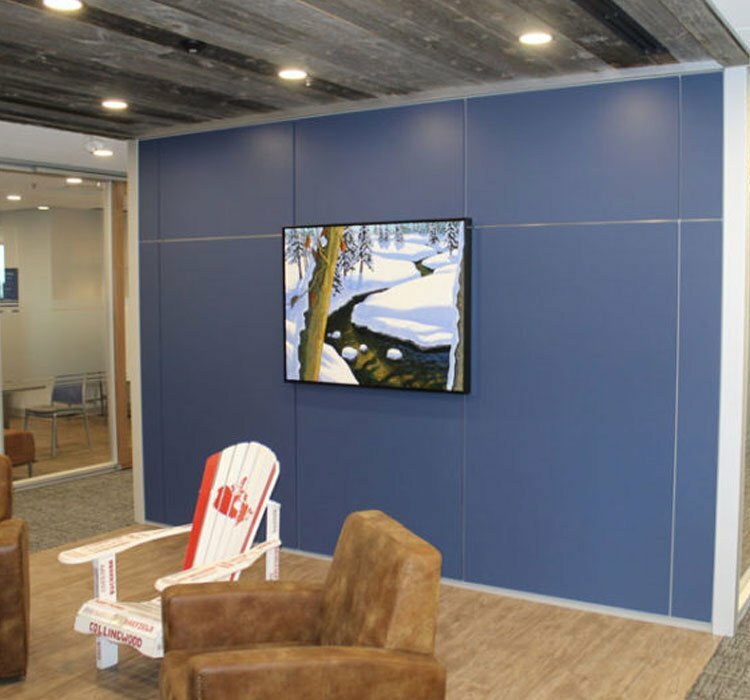 Veneer wrapped doors were used for every door in the space to provide a natural feel. Custom graphics were used throughout the space to showcase Parkbridge’s marketing material and provided splashes of colour and fun to their space. 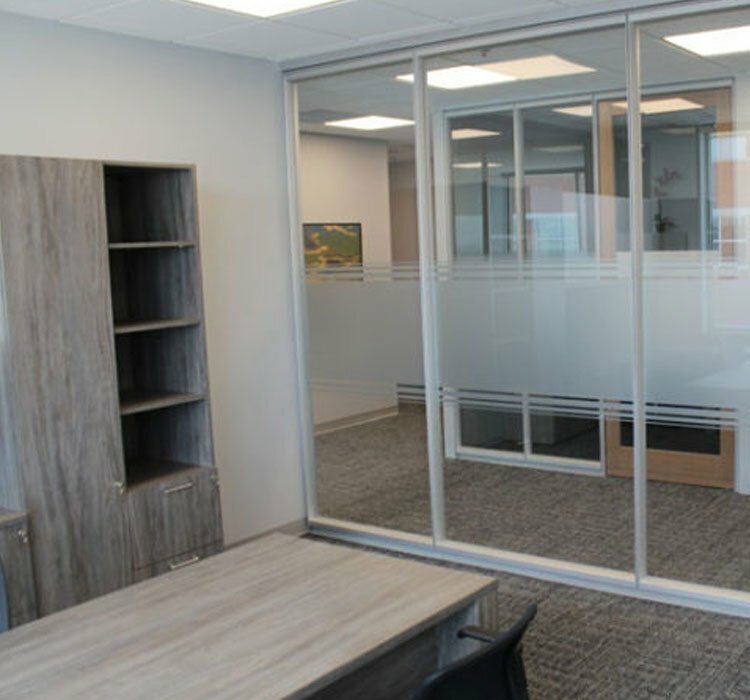 Double barn doors allowed for more openness and flexibility with their meeting rooms. 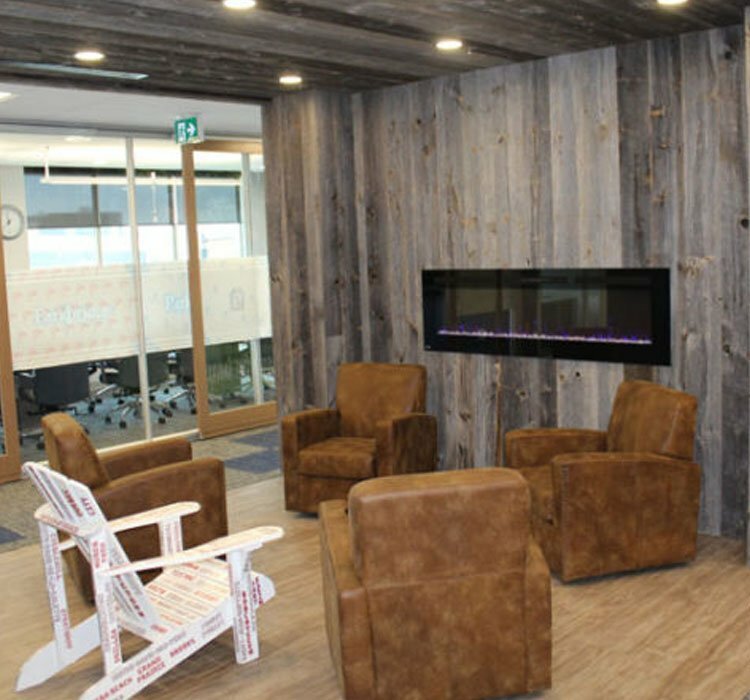 They even choose to do a lounge area with comfortable chairs, fireplace and barnboard cladding. 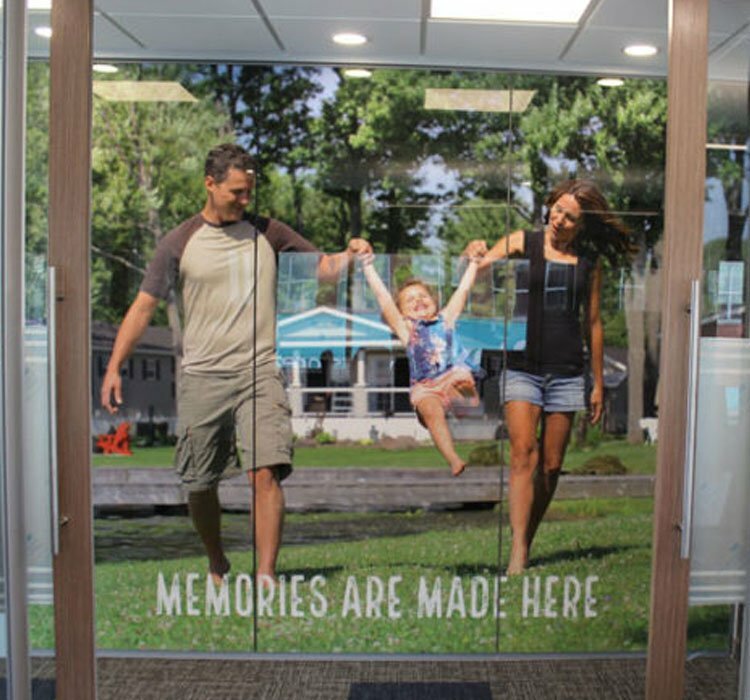 Window film was used throughout the space to provide privacy on glass fronts and to brand the space with the company logo. 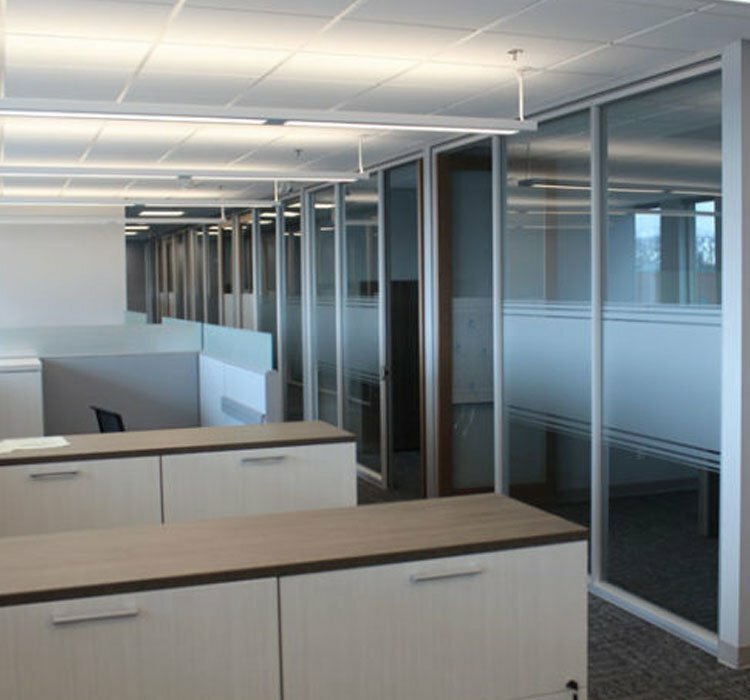 Parkbridge was extremely happy with the DIRTT solution, how well it met their needs and the cost compelling price point.